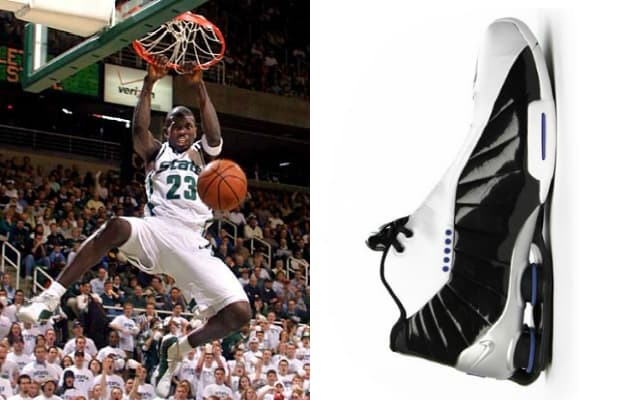 Around Y2K Nike had a design that was supposed to change the game, and the Shox BB4 did just that being rocked by hundreds of college and pro players when they dropped. It took 16 years for Nike to perfect the craft, but the final product was known for having great responsiveness and players like Jason Richardson and Vince Carter got sprung in them. Look out below.